This item is made out of recycled clay and it's not reproducible. The recycled clay is left partially wedged for the spiral effect. This is a set of porcelain teacups with a triangle shape of unglazed clay, made with the wax resist technique. This porcelain teapot reminds me of a bird. It has a circle shape mirroring its body made using the wax resist technique and a beak spout. 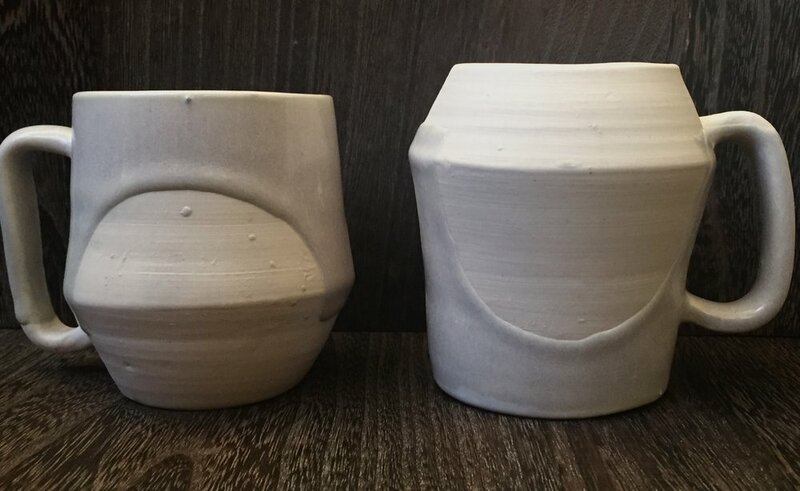 These are matching porcelain and speckled mugs with triangles of unglazed clay using the wax resist technique. 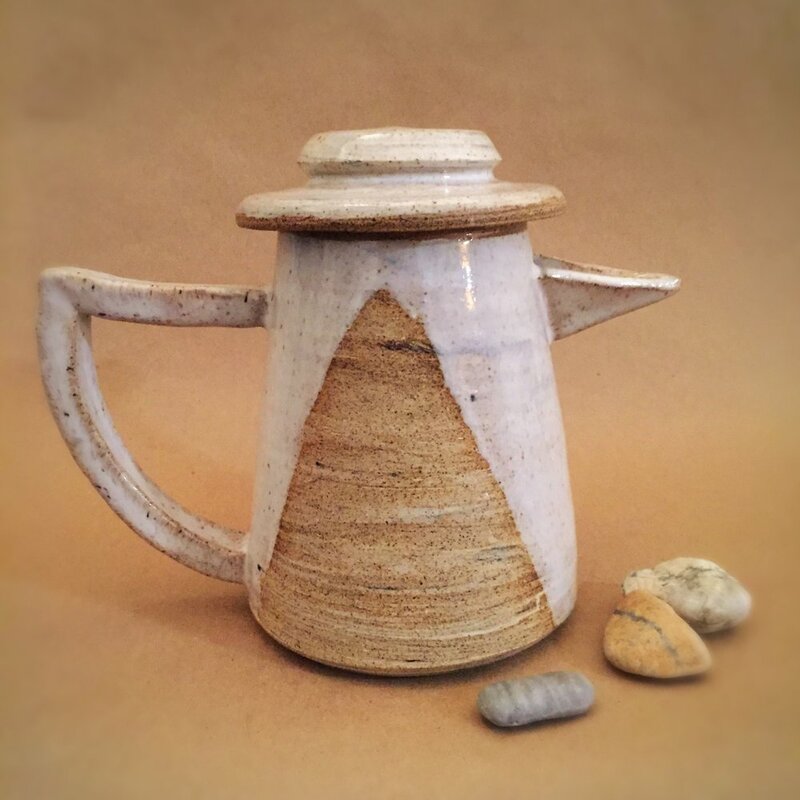 Small porcelain teapot with wax resist. This was a botched batch of almond glaze which is usually pink. I love the lavender shade of this accidental glaze.